By combining our modern equipment and technology with old fashioned craftsmanship and attention to detail, the professionals at ATCAM LLC are equipped to meet the diverse machining, fabrication and repair needs of a wide variety of industries from the food processing and packaging operations to the paper companies. 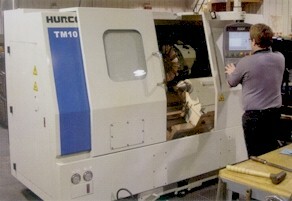 NEW to ATCAM, The State of the Art, HURCO TM10 CNC. 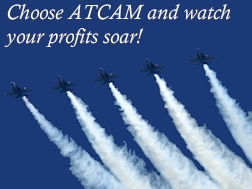 Utilizing a 12-position turret and brand new state of the art technology, ATCAM can handle most any of your CNC needs. With a max cuttting diameter of 14 inches and a max cutting length of 19.3, ATCAM's new CNC will stand out in the field and bring you the quality you have learned to expect from the experts at ATCAM. 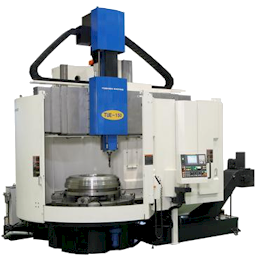 CNC Toshiba TUE-150 VTL with a maximum swing of 78.74" diameter. Our new Toshiba VTL has Ultra-Precision boring and turning capabilities with the latest technologies to provide high-grade performance & accuracy. 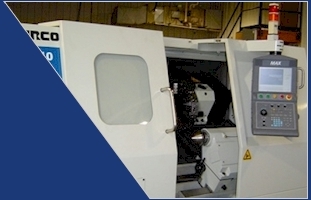 An area of expertise ATCAM offers is custom machine rebuilding. With our team of professionals, ATCAM can provide complete custom machine rebuilding from start to finish. If a project calls for special services not currently available, ATCAM will arrange to have those services performed for our customers. The photos below show a before and after picture of a complete rebuild job. ATCAM LLC is pleased to announce our Large Saw Cutting capabilities. 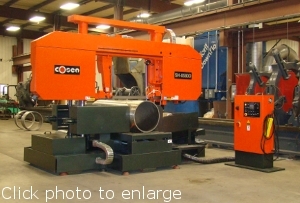 Atcam has added a 2009 Cosen, twin column saw. Sawing services allow for clean cuts and no spatter to clean up from plasma cutting. Large Section Cutting: Billets, Ingots, Dies, Plates, Pipes. See our saw specifications here. 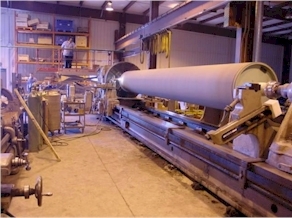 A specialty of ATCAM LLC is the repair and rebuilding of large rolls and roll journals for the paper industry. ATCAM can accommodate a variety of large parts and rolls up to 60" in diameter and 50' in length. From milling, grinding, boring, turning and fabrication, ATCAM is equipped with the latest equipment and technology to meet a wide variety of custom machining and repair service needs. 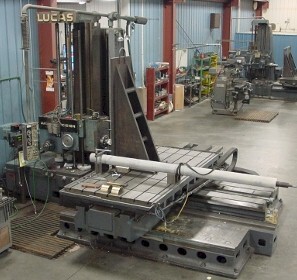 Large boring bar capacities include a 5" Lucas boring bar to handle large machining projects. All lathes are equipped with digital readouts for precision machining. ATCAM provides precision boring bar capabilities to handle required machining of new and used machinery parts. ATCAM's overhead cranes in two bays provide lifting capabilities of up to 20 tons. ATCAM's 35,000 sq. ft. facility has all the modern and necessary equipment to satisfy most any company's needs. View a partial facilty list of our equipment here.